The Multi Speed Rotary Tiller also known as Multi Speed Rotary Tiller offers wider range of rotor speed ratios. Rotor speed can be varied (by simple adjustment) as per the tilt quality required and the soil condition available. • Multi Speed gear box provides option of 4 different rotor rpm for different soil condition and application. • Heavy duty side gear drive in oil bath which ensures high performance in all working conditions. • Can loosen & aerate soil up to 7 inches deep. Weight in Kgs: 280 Kgs, 355 Kgs, 467 Kgs, 490 kgs, 527 Kgs. - Robust Multi Speed gear box provides option of 4 different rotor rpm for different soil conditions and applications. 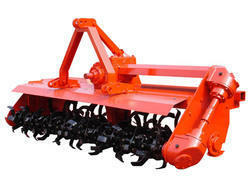 Weight of Single Speed Gear Box Rotary Tiller: approximately 30 Kg. lesser than the Multi Speed Gear Box Rotary Tiller. cropking medium duty type spring loaded tiller - as the name suggests the tiller has got sufficient strength through box frame. The tiller can be used in light to medium type of soils. The high clearance spring trip enables excellent ground clearance. This usually prevents plugging in high residue conditions. 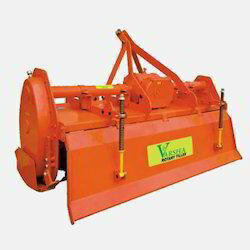 - Bhavani Type Cultivators are suitable for use in stone and root-obstructed soil. - It is especially useful in hard and dry trashy land conditions and in soils where scouring is a major problem. Karanpuri "Massey Heavy Duty" type spring loaded tiller is simple in designed with togggel arrangements, squared steel main frame is heavy with special heavy forging Tynes. It breaks up hard top soil, uproots stable & leave earth ready for seed bed. - Rotary Tiller is ideal for smooth & speedy preparation for root crops, fodder crops, orchards & cash crops. - Enhances the soil fertility by mixing the residue of crops like cotton, sugarcane, wheat and paddy.